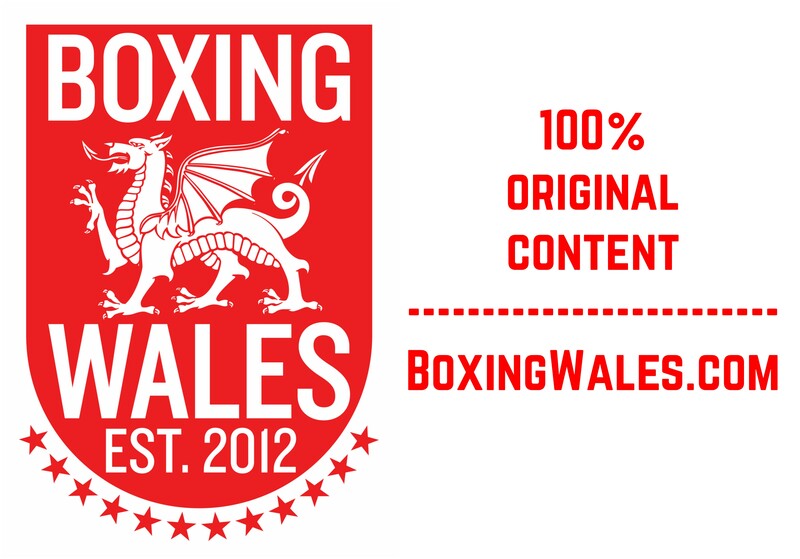 Jason ‘The Power’ Cook (30-5-1, 16KO) has exclusively confirmed to BoxingWales that he will enter the next Prizefighter tournament on April 5th at London’s York Hall. 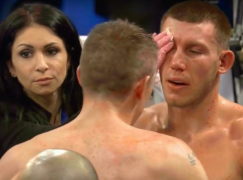 Earlier this year, the former European and IBO champion announced that his Celtic title fight with Tony Pace, which he won by fourth round knockout, would be the last of his career but Prizefighter has persuaded him to continue. Cook said, “I had a change of heart, I love the game and it’s going to be hard to give it up. My body is feeling good though, it’s responded well. “I’ve been offered some fights on small shows but I’ve done that years ago, I don’t need to go back there. I’ve got nothing to prove there but Prizefighter is totally different, it’s a lottery. It can be anybody who wins but I think it’s going to suit me. “With Prizefighter, they have all the prospects in it but they always have somebody who has been there and done it. Maybe that’s why I’ve got the call and it’s a call I could never refuse. “I think it was a bit foolish to say I’ll retire before the last fight but I intended to. When I said it in interviews I intended to retire at the time, I didn’t know about the chance in Prizefighter until very close to the fight. I knew this possibility in Prizefighter might come up just before my last fight and it’s an opportunity I couldn’t turn down. Anyone can win the tournament because it’s a shootout.” The next Prizefighter will be the fourth in the welterweight division and the 33rd instalment of the tournament since it began in 2008. 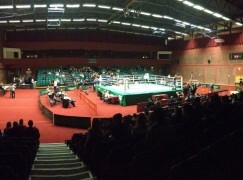 The elimination tournament pits eight boxers against each other through four quarter-finals, two semi-finals and a final with each bout contested over three-three minute rounds. Cook is joined in Prizefighter by British title challenger Eric Ochieng, Irish prospect Paddy Gallagher, former Australian champion Dean Byrne, Midlands champion Sam Eggington. Three more entrants are still to be confirmed. Having celebrated his 39th birthday last week, the Maesteg man will be the oldest of the Prizefighter entrants and he knows that he’ll have to alter his training habits to get the best out of his bodies performance. 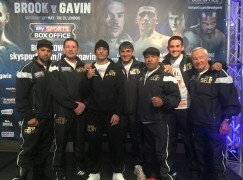 Cook said, “I was aching for a couple of days after the Pace fight but I was back in the gym within a week. Normally, I have a fight and I take three months off. The last time I went straight back to the gym after a fight was three years ago. “I didn’t have a long break, it was only a week or so off and I was back running on the road. My hand was a bit sore to start with, so I only started using it two weeks ago but I’ve just done ten rounds sparring with amateurs who have fights in the championships on the weekend. 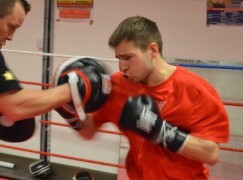 I’m loving my training like never before, I’ve got the bug back thankfully. “My body will tell me when it’s time, I’ll see how it goes and it wasn’t because I won that I’m carrying on, it’s because of my love for the sport.” Tickets to Prizefighter are £40 and can be bought from MatchroomBoxing.com or by calling 01277 359 900. 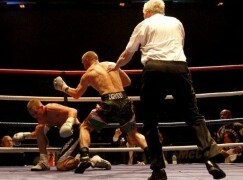 Ringside and VIP tickets are now sold out but Prizefighter will be broadcasted live on Sky Sports. IMAGE BY CIARAN GIBBONS.